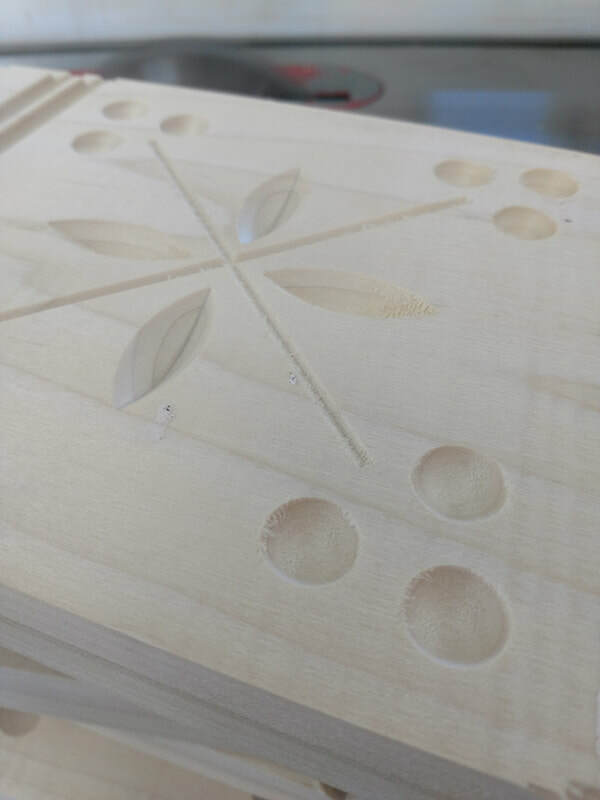 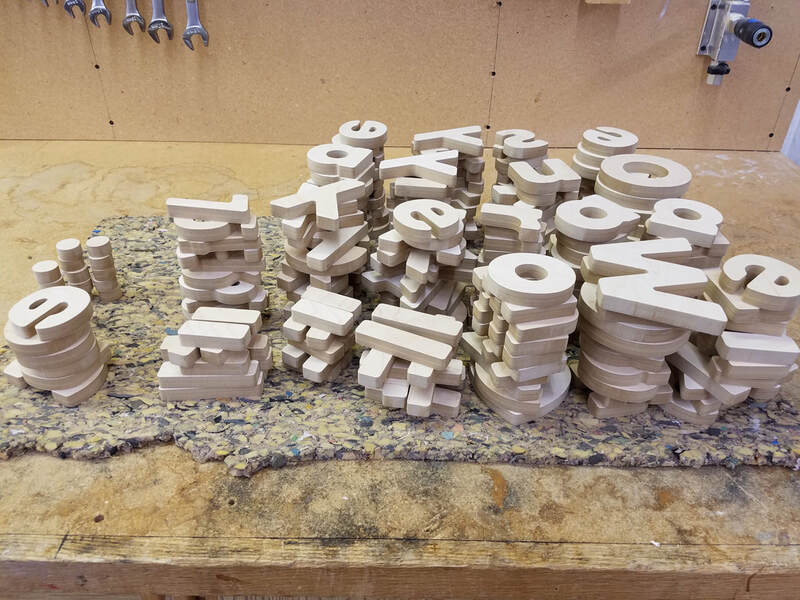 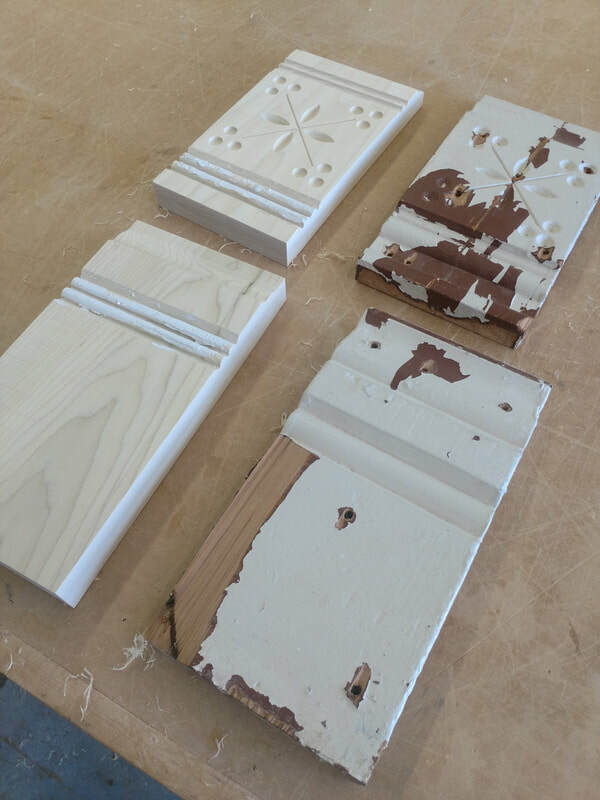 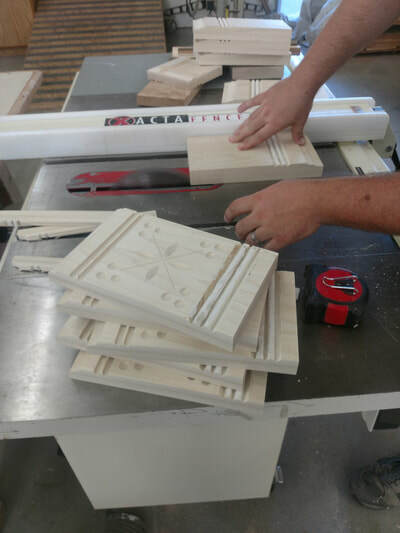 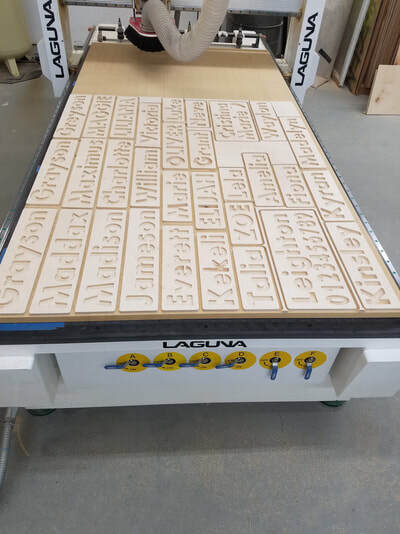 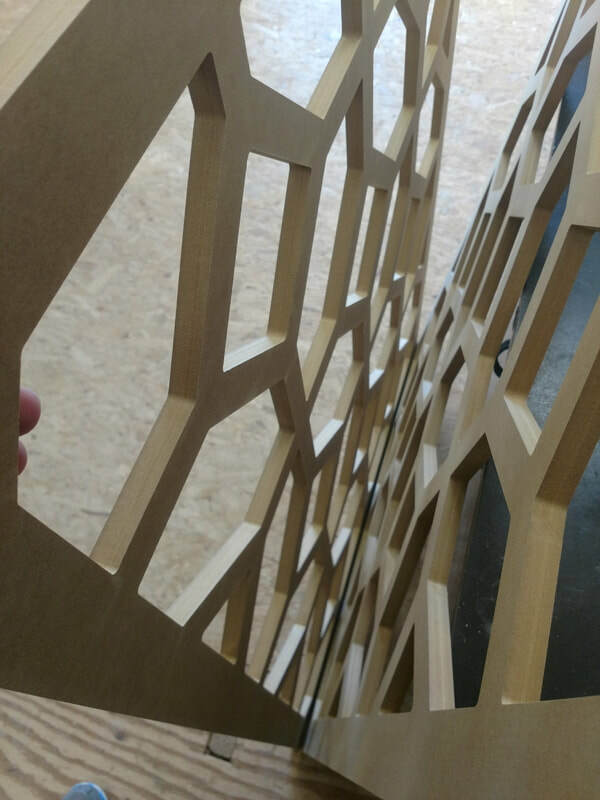 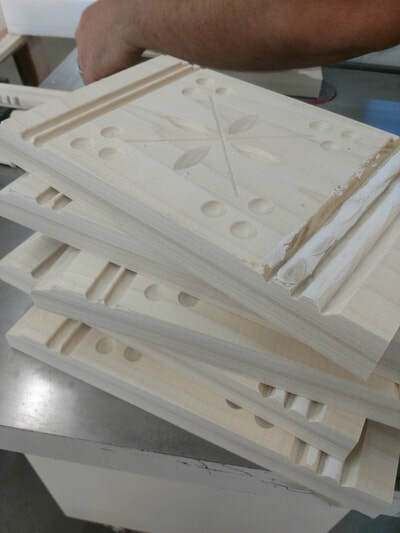 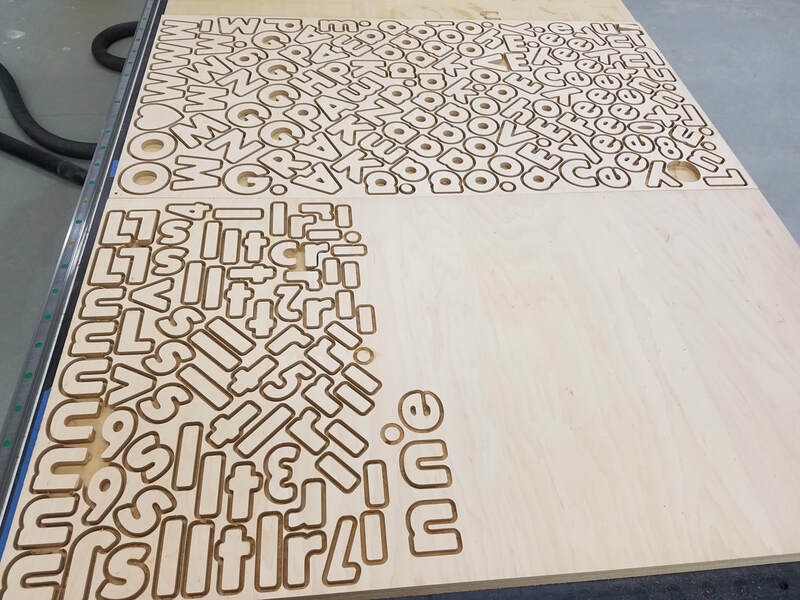 We specialize in CNC carving! 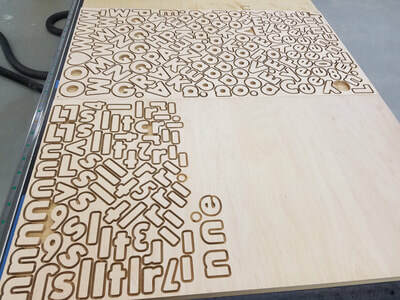 Set up begins on the computer and then moves to the CNC router where the carving begins. 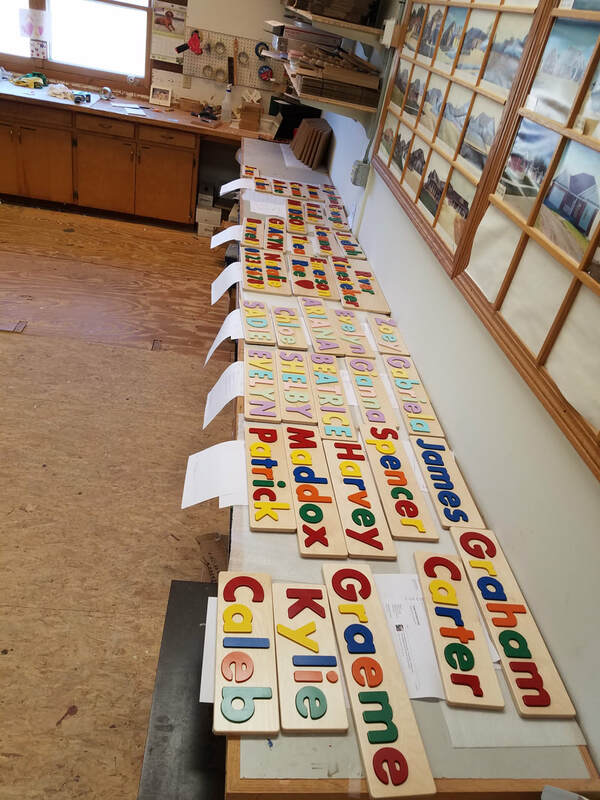 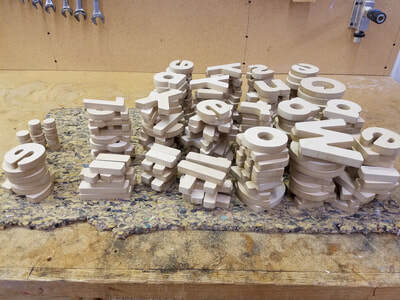 Below shows some of our most popular carvings which are the Children's Name puzzles. 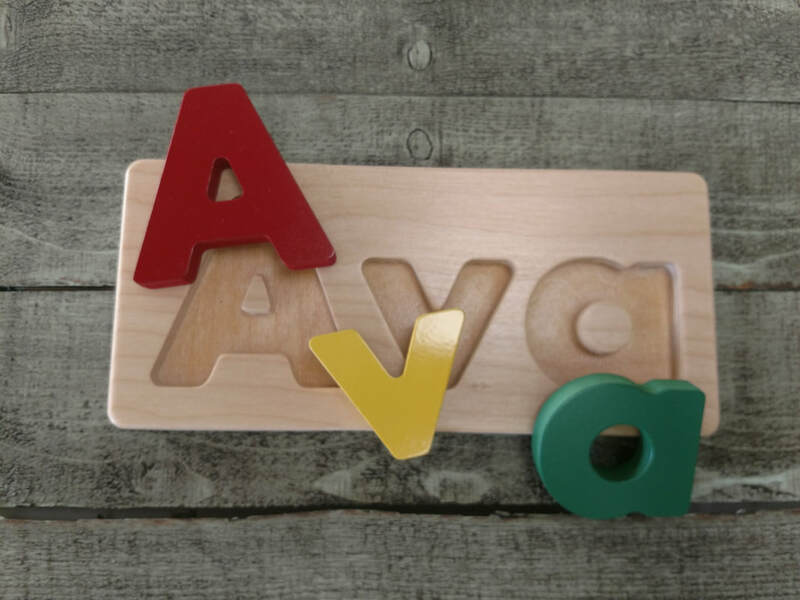 These puzzles are just the right size for children to learn their name and primary colors! 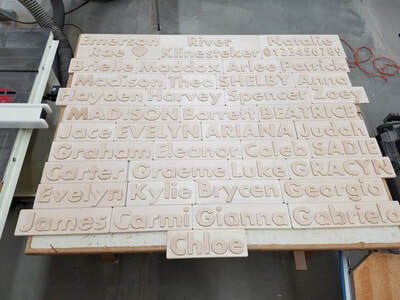 We also work with local customers who have a special patterns or awards carved. 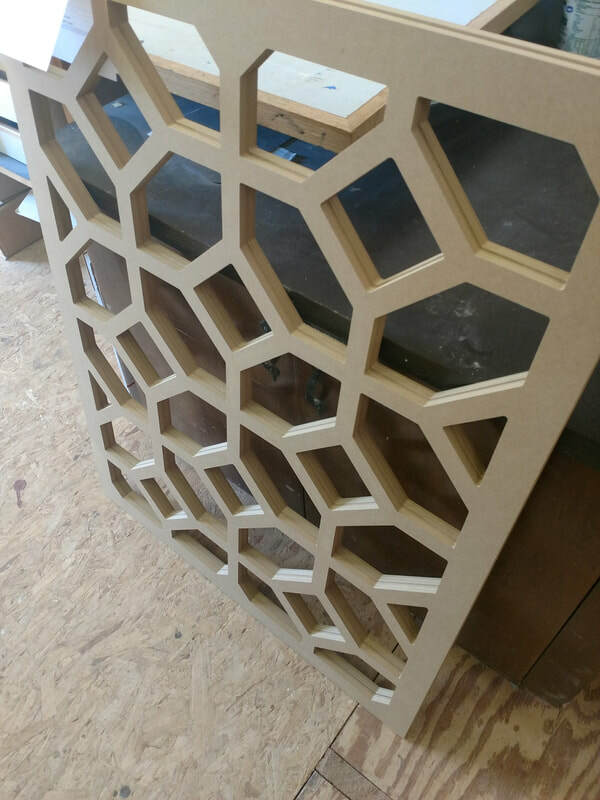 Contact us for pricing and details on your next project!